Charles E. “Chuck” James, Jr., is co-chair of both the Firearms Industry Practice and the White Collar & Investigations Group. He provides legal counsel to members of the firearms industry on state and federal firearms laws and regulations. He previously served as a federal prosecutor in the U.S. Attorney's Office for the Eastern District of Virginia's Richmond and Alexandria Divisions and the Department of Justice's Criminal Division, Washington, D.C. Since his return to Williams Mullen after serving as chief deputy attorney general in the Office of the Attorney General of Virginia, Chuck has assisted a diverse group of clients with matters before state and federal investigative bodies. As part of his White Collar & Investigations practice, Chuck represents individuals and corporations in state and federal investigations, including grand jury and trial matters. 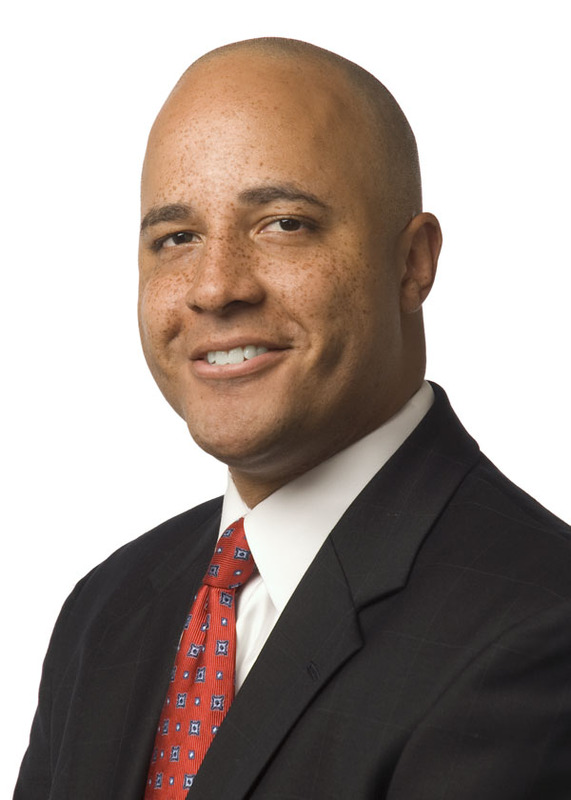 Chuck represents individual and corporate clients before enforcement and regulatory bodies as varied as the Virginia State Corporation Commission, the Virginia State Police, the Federal Bureau of Investigation, the Bureau of Alcohol Tobacco & Firearms, the Special Counsel’s Office, the Department of Treasury, the Department of Transportation, the Department of Homeland Security and several Medicaid Fraud Control Units and United States Attorneys Offices. He has represented charities, private and publicly traded companies, executives and employees investigated for alleged customs violations, trademark infringement, environmental crimes, public corruption, embezzlement, health care fraud, mail/wire fraud, government contracting fraud, Virginia Fraud Against Taxpayers Act claims, environmental crimes and OFAC/FARA matters. As the chief deputy attorney general in Virginia, Chuck supervised the entire office, including the Medicaid Fraud Control Unit (MFCU). Chuck uses this experience to counsel companies throughout the United States — from small, in-home health care providers to national health care companies — facing health care fraud allegations. He counsels clients on matters related to Medicare fraud and Medicaid fraud, as well as alleged violations of the Anti-Kickback Statute, the False Claims Act, the Physician Self-Referral law (Stark Law) and other federal and state regulations. A true problem solver, Chuck develops customized investigative and defensive strategies that best position the client and help to limit business interruptions and expenses, letting the clients focus on their businesses. During the historic corruption trial of former Governor Bob McDonnell and Maureen McDonnell, Chuck provided legal analysis to numerous print and cable news outlets, including Politico, the Washington Post, the Richmond Times-Dispatch and NBC12. As a former assistant U.S. attorney and former chief deputy attorney general, Chuck is situated to address issues related to the interplay of law, policy, politics and trial strategy. Chuck previously represented an elected official on similar charges and appreciates the challenges faced by both the government and the defendant. Chuck also assists clients in investigations, litigation and policy guidance, providing a comprehensive range of services and the ability to engage with decision-makers in the executive branch. Chuck has handled several cases involving consumer protection matters with Offices of State Attorneys General and the Federal Trade Commission (FTC), including client representation in the hospitality industry, retail, direct marketing companies and a professional services company. He has represented clients in consumer protection matters involving the Virginia Comparison Price Advertising Act (VCPAA) and the Virginia Consumer Protection Act (VCPA). Chuck has extensive litigation experience, having tried or argued numerous cases dealing with constitutional issues stemming from white collar, immigration, violent crime and narcotics cases before the state and federal trial courts and the U.S. Court of Appeals for the Fourth Circuit. His background also makes him an important part of defense teams, including providing invaluable knowledge while serving as local counsel for matters in the Eastern District of Virginia, and as “pool counsel” in investigations. He also assists our Government Relations and Appellate teams with special projects of concern to our clients. Having handled hundreds of federal cases as lead trial counsel, Chuck has extensive courtroom experience, as well as experience investigating and prosecuting cases involving conspiracy, embezzlement, public corruption, violent crime, money laundering and fraud. Chuck has been named among the “Legal Elite” by Virginia Business magazine (2009, 2013, 2015-present), and he is listed in The Best Lawyers in America© for Commercial Litigation, Criminal Defense: White Collar and Criminal Defense: General Practice Law (2015-present). He was named the Best Lawyers® Richmond "Lawyer of the Year" for Criminal Defense: General Practice in the 2019 edition. Chuck has also been named a "Local Litigation Star" by Benchmark Litigation (2013-present), and he was listed in Virginia Super Lawyers Rising Stars magazine (2009, 2013, 2014). He is a sought-after speaker and commentator on a variety of policy, legal and political topics. Chuck is a graduate of the University of Virginia and received his law degree from Washington and Lee University. At the request of client's audit committee, Williams Mullen's Government and Corporate Investigations team conducted the internal investigation, provided advice regarding appropriate remedial and disciplinary actions, and assisted a client in responding to various government regulators' requests for additional information. Client company retained Williams Mullen to lead an internal investigation regarding alleged crop insurance fraud scheme involving company purchases. We reviewed records and interviewed multiple witnesses before concluding our report to the client. Also recommended changes to contracting and payment procedures and conducted training. Trinity Wall Street v. Wal-Mart Stores, Inc.: Is it About Guns on the Shelves or Guns in the Streets? Webinar: Navigating "Operation Choke Point"